I wasn’t exactly sure what I was going to say to a bunch of inspectors general representatives about branding. Frankly I was a bit worried they would think that branding was essentially useless propaganda and that it didn’t belong in government at all. But they were very kind and we had a great conversation around some of the issues that government communicators face right now, and how branding can potentially help. Branding is a legitimate government activity. When I started working in government, branding was not well-understood. Even the simpler and more basic idea that communication should be engaging was largely minimized if not ignored altogether. Over the past decade people have come to understand that branding is not only necessary for government but critical. You have to put money in the “trust bank” first, establishing a positive and distinct reputation for trustworthiness and a particular set of values. This is not the same thing as doing your job and explaining your mission—it is something more. 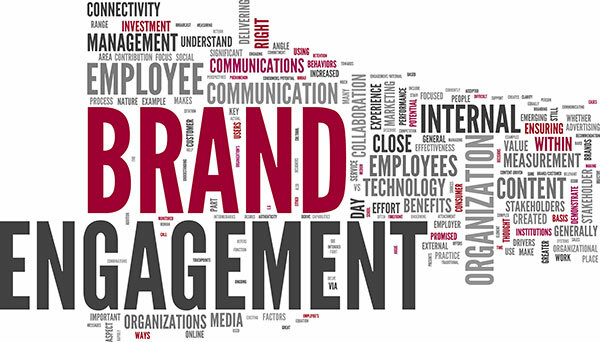 Most people do not have a clear understanding of branding is, even if they’re experts. Put in simple terms, your brand is your image. It is not only what you say, but rather the result of an ongoing interplay, or dynamic, between your output and the response you get from the public. The government says something, people react, and the public makes up its mind. Then the cycle begins again, over and over because the brand is always evolving. The distinction between government branding and branding in the private sector is that government branding always comes down to trust, whereas private sector branding is essentially about making a profit. (The latter is not a bad thing, it’s just a distinction. We talked about the concept that your brand is not your mission but rather the reputational qualities that set you apart. One person joked that the brand of the FBI must therefore be “seriousness.” This is not very far from the truth: If you are the FBI you want people to take you seriously when you show up at the door. It was interesting that the building where I spoke, the HHS OIG, also housed the VOA and there were posters depicting VOA employees and their unique qualities near the cafeteria. Somebody at the VOA’s communications shop or agency really gets it. Narrowing down your audience is critical if you’re going to be successful.If brand is an interplay between what I say, how you respond and what the public then thinks, understanding the “you” becomes a key aspect of building the brand. This is what confuses a lot of people: They equate the people who are passionately engaged with the brand with those who form an opinion later on, normally based on experts, journalists, bloggers, and other people who respond to the agency’s official communications. (One way to think of it is that influencers are an “Audience” with a big “A,” versus the general public would be an “audience” with a small “a.”) After some discussion, the group identified four major audiences, including agency employees, who ideally need to cooperate in order for the IG to do its job well; members of the public who are particularly interested in the agency’s mission; Congress; and of course the general public, not just nationally but internationally. Another point that came up, in the context of Congress in particular, was the issue of money—that your audience is going to be tied to those who control the purse strings. This is not a bad thing, but rather a reality that must be considered: Your job is to tell the story accurately and well in a way that would set you over and above a competitor who purports to do exactly the same thing. Most agencies neglect the most important focus of branding activity: the employee.One attendee commented that the head of the agency has a major impact on its brand. There was general agreement that when agency leadership changes, not only does the brand change by default but sometimes the leader intentionally does away with the signature efforts of the previous executive. Thinking about the effect of the human being on the agency’s brand image, we also had general consensus that agencies tend to ignore the critical importance of their employees in shaping the way the public thinks of them. Every time someone deals with a federal employee, they reflect on the experience and form an image of the brand; or they tell somebody else about it, discussion ensues and a decision is made about what kind of place the agency is. In contrast to the private sector, agencies tend to be far too preoccupied with internal politics and not preoccupied enough with what the public is saying about them. If failing to invest in employees-as-brand-builders is one critical mistake agencies make when it comes to their image, ignoring external feedback is another. In the private sector, we frequently see that companies are highly concerned about even something so seemingly insignificant as a negative Tweet. Yet in the government, over the past decade my impression has been that there is much more emphasis placed on internal squabbling and politics than on staying in touch with what the public is experiencing and saying to us. It was perhaps fitting that Sarah Kaczmarek, Digital Communications Manager at the GAO, spoke before I did because she gave a talk on metrics that would enable any agency to objectively review how their public affairs efforts are faring and then to fine-tune what they do in response. Overall it was a beautiful day in Washington, D.C., and I really appreciated the opportunity to get to know the CIGIE PAO task force. They’re a great group and I hope they share the lessons they are learning with the larger federal and professional communications community.Dannielle Blumenthal is the Director of Digital Engagement for the Office of Innovation at The National Archives. All opinions in this piece were her own and don’t reflect the views of her agency.